We've reached the fourth entry in the 17 year old series, and we've seen two games followed by two prequel games. The series famously started with the approach "all conspiracy theories are real", but the most recent entries, Human Revolution and Mankind Divided, have skewed away from the most outlandish conspiracies and closer to cyberpunk influences. Still conspiracy is at the center of the theme, and they're beginning to run out of steam with Mankind Divided. You are once again Adam Jensen, mechanically augmented ex-cop, ex head of security for an augmentation manufacturer, now Interpol agent. You're based in Prague after The Incident, in which most augmented people lost control of themselves and attacked others until their controlling entity was stopped by Jensen. The world is now deeply divided into pro-augmentation and anti-augmentation, with a UN vote removing rights for augmented people coming soon. From this stage, Jensen must investigate the bombing of a subway station that is blamed on pro-aug extremists. Mankind Divided takes the "any approach to a problem works" philosophy all the way through. If you're sneaky, there's cover to hide behind and venting ducts to crawl through everywhere. Are you shooty? Get your guns out, there's plenty to shoot. Want to hack computers and talk your way out of problems? That works! Lethal, nonlethal, silent, noisy, it all works. An amazing amount of work went into this game to give you the ability to play it as you like. This is also reflected in Prague itself. By the end, you'll feel like you know the city because every neighborhood and location is well detailed and obviously lived-in. The amount of detail in the levels and thought that went into the gameplay really reflects the love the developers have for the game. One of the hallmarks of Deus Ex is a globe-hopping plot. That doesn't exist here, but it's not necessarily a detriment. You'll spend almost all of your time in Prague. Again, Prague is so well fleshed-out that it's not Dragon Age 2 situation, but I did absolutely get worn out seeing the same subway train loading screen. With so much attention given to the gameplay and the city, the conspiracy and the plot as a whole are fairly weak. It tells a very simple story with a lot of the more compelling elements taking place as side missions. It's got one beat (augs vs. non-augs) that it hits over and over. It's not a new beat, as this conflict has been at least touched on by all previous Deus Ex games, and that's a big disappointment. It also suffers from feeling under developed. It's not a short game by any means, but it feels like it ends just as it's picking up. The ending also obviously leads into the next game. This is a real bummer because it seems that the studio is moving on to Marvel games in the near future. On a not-unrelated note, I would be remiss if I did not mention the presence of expendable microtransactions in this single player game. You can pay real cash for in-game cash or praxis points, the ability development currency. It is utterly unnecessary as I found no need for any more praxis points or cash to support my personal playstyle, but you could make the game a lot easier on yourself with straight cash. And, like currency in the game, once you use it, it's gone. It's not like you're buying yourself a permanently larger chest of cash for every playthrough. You spend your cash and your praxis points and they're gone. It doesn't detract from the game because the game is clearly balanced and designed to be played without external influence, but that just highlights how utterly unnecessary the microtransactions are. With the future of the series in doubt, this isn't exactly the note that I wanted to see it go out on. Mankind Divided is fun and open-ended in ways that many games can't get close to, but it's hampered by a thin story in a series that used to get high marks for complex storytelling. I don't think Deus Ex is dead by any means, but Mankind Divided makes the case for spending more time on the Marvel games that are sure to bring in piles of money with less effort necessary to impress. 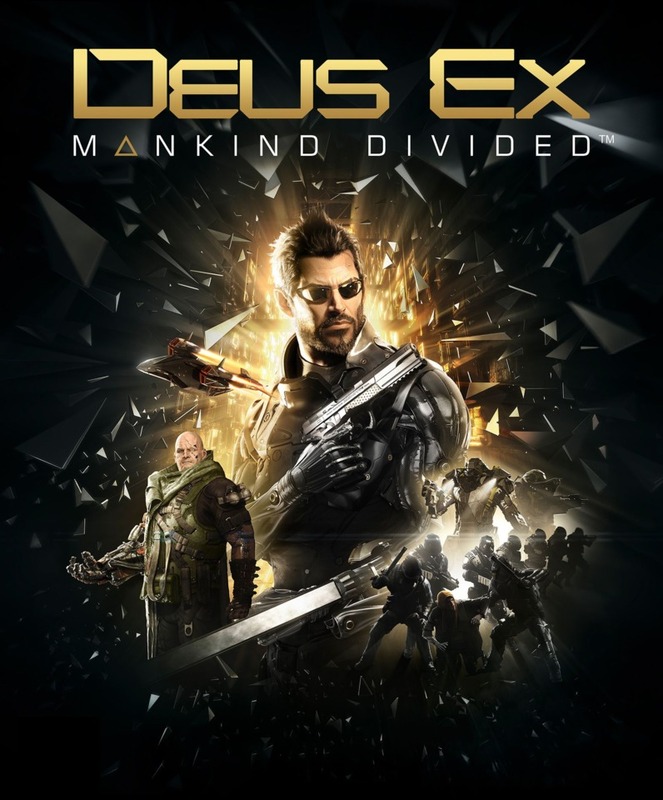 Deus Ex: Mankind Divided is a good game that should have been great.